Before moving to Florida, Bob served as court maintance director ,instructor and on the planning commitee for theTellico Village Pickleball Club in Loudon,TN since back in April 2008. In December of 2010 he and his wife Judy moved to Riverwood at Nocatee by Del Webb in Ponte Vedra, Fl. At that time eight pickleball courts were under construction and Bob agreed to head up their pickleball program. Even without any court, he's managed to get the local residents excited about our great great and anxious to get out on their brand new courts!!!! 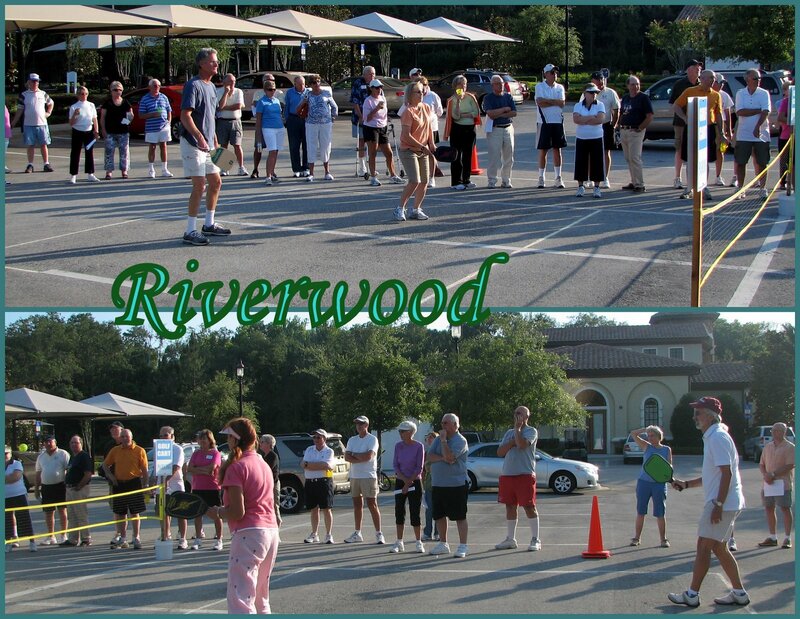 Bob reports that their 8 new courts open at Riverwood on June 26. Both he and his wife Judy, the only two people who knew how to play, have been very busy teaching new players. Back in May he held a pickleball clinic on a temporary court set up in a parking lot, and over 60 residents joined their pickleball club! Bob applied for and received a grant from USAPA to help him introduce pickleball to his community, and is planning the Grand Opening on June 26th on their brand new courts!! Good Luck Bob and Judy!!!! We look forwad to pictures of those new courts and more news on the growth of pickleball fun at Riverwood.